The Bullring could transformed into the perfect centre point of Wakefield in a new vision for city, retail guru Bill Grimsey said. 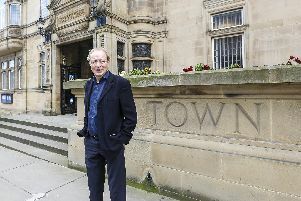 He told councillors and business leaders at Wakefield Town Hall that a new kind of centre built around digital technology and new things for people to do is what cities of the future need to look like. And the Bullring could be at the heart of that. Mr Grimsey said: “The Bullring is magnificent, right next to the cathedral. If you could just blow away the traffic and use it as a pedestrian open space, the nucleus of the town, an arena, an amphitheatre, I think you would start to make inroads. MORE: City Centre Survey: Wakefield needs a masterplan that will take it through to 2050. The vision for the future he set out was one in which smartphones and digital technology are used for everything from buying a sandwich to being signposted around the city centre. He said that tech firm Apple believe towns should have squares where people can come together and interact. And more of that interaction would involve activities and experiences rather than shopping. In the Express city survey you told us what you want to see change Wakefield and more things to do in town was at the top of the list. 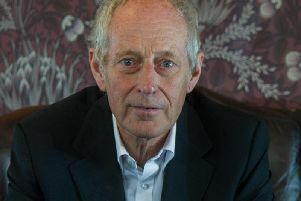 He said that the current “archaic” model of business rates was outdated and punished small and medium sized firms. If it was replaced with a 2 per cent sales tax the money it raises would be replaced overnight, he claimed. Subsidised units for businesses to start-up without risk and free wifi across the whole of the centre could change the game, he said. And the younger generation are more eco friendly, which would lead to a preference for local produce rather than food being flown in from abroad at great cost to the environment. He said: “Right the through the industrial revolution, to coal mining, to where you are today, there is a wonderful history in Wakefield but it doesn’t just need to be based on history, it can be based on the future too.